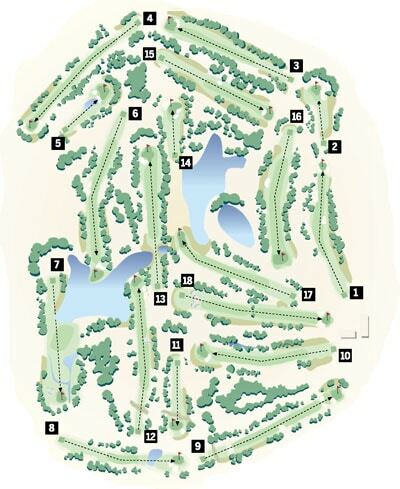 When the Brickyard Golf Club was redesigned by PGA TOUR Pro Mark McCumber, every fairway, green and tee was reshaped. New bunkers were added and a new clubhouse, pavilion and swimming facility were crafted. Now, 4 million square feet of new sod, 1800 new trees and 300,000 hand-planted wild grass specimens later, Brickyard is ready for play. Measuring over 7200 yards from the tips, the par 72 championship course is challenging for low handicappers, yet fun and enjoyable for the rest of us.